the United States Environmental Protection Agency states that an average of 10,000 gallons of water is wasted by households every year. When there’s absolute silence at home, do you still hear the sound of running water? Have your water bills recently spiked unusually? 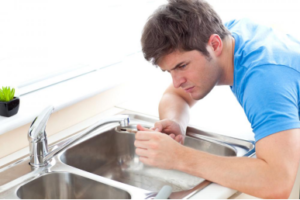 It is best to hire professional plumbing services to handle plumbing issues such as water leaks, water piper damage and other water line problems. 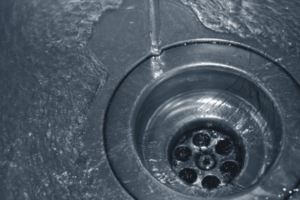 The absence of professional plumbing services has adverse effects on public health and safety. Ideally, everyone wants a relaxing and spacious bathroom with the best fittings. 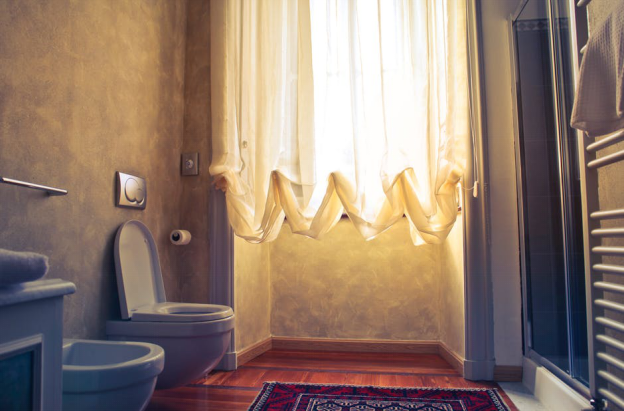 But even with the best-designed bathrooms, lack of care quickly shows up in the form of mildew and mold. It’s inconvenient and if left untreated can lead to health problems. 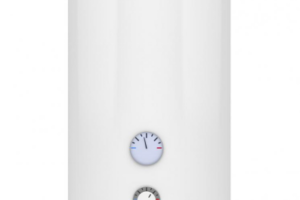 A fan and vent system is ideal for removing steam and moisture that builds up in bathrooms. Moisture attracts mold and helps it thrive. Having a fan installed in your bathroom eliminates such moisture. Homeowners must be aware that the size of the fan must be right for the size of the bathroom. A fan too small or a fan that isn’t being used to remove the moisture won’t do a good job at keeping mildew and mold away. Grout lines lose caulking with daily wear. Bacteria can thrive in such small crevices. Make sure the grout lines of your home are regularly cleaned and resealed every year— your bathroom will remain mold free and look good as new! An effective way to remove moisture from the shower is with the help of a squeegee. Make sure you use this tool on the walls after every shower. You’ll find your bathroom looks cleaner when there’s lesser moisture. The two most important sources of mold are the shower curtains and liners. 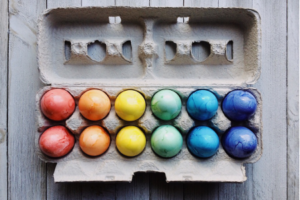 Though they are the easiest to clean, we often forget to do so. Make sure the towels and bathmat in your bathroom are regularly cleaned. If the towels and mats in your bathroom smell weird, it’s probably because they’re infested with mold. Make sure moist towels aren’t lying around in your bathroom; they should be aired out after every use. 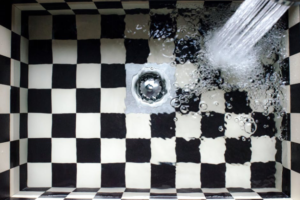 An important step in keeping your bathroom mold-free is taking care of leaks as soon as you notice them. 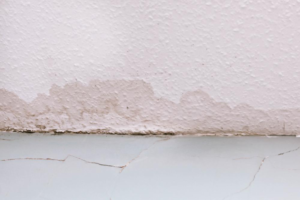 A leak left untreated will moisten the walls beneath the tiles, which attracts mold. You’ll most likely not spot this mold till its spread out and your bathroom reeks. 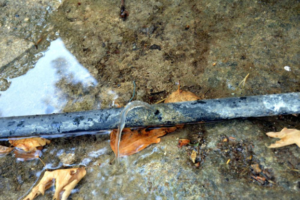 A routine check of the pipes and plumbing in your bathroom can help prevent such a situation from happening. 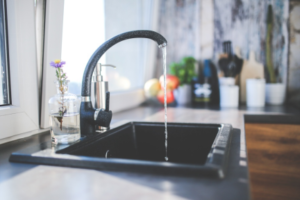 So if you’re looking for professional cleaning or whether you’re looking for a sinks replacement services Palm Beach County or water leak detection in Palm Beach, Your1Plumber is the service to contact! 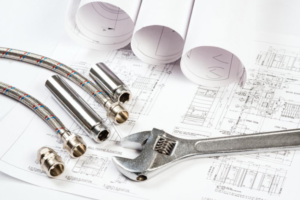 Our experienced and licensed staff is qualified to take on any plumbing problem. Contact us at 561-403-1500.